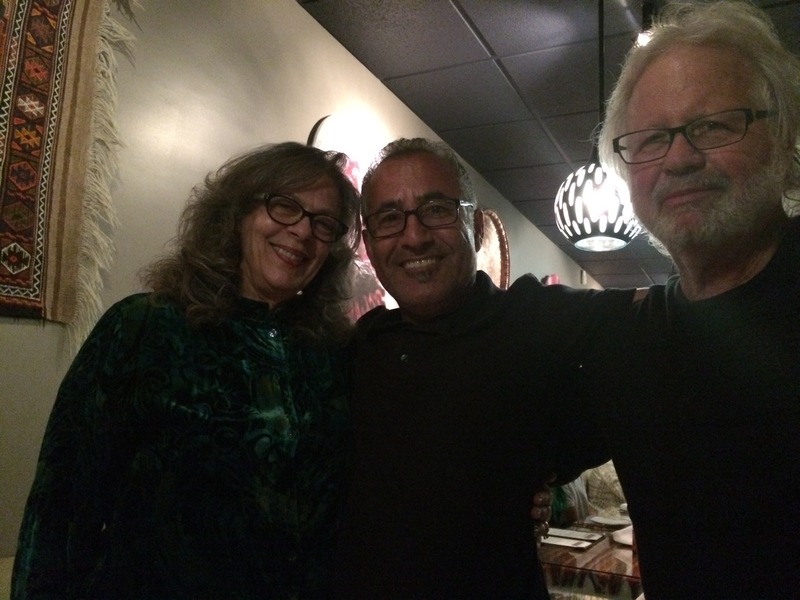 Last night, Dorianne and I joined Richard Clark and Mary Stec at Niroj Restaurant in Agoura Hills, CA. Since it was the eve of the Lunar New Year, I figured (correctly) that it would not be a big night for Kurdish food. The restaurant was not crowded, and we had a leisurely and delicious meal and some good wine. I brought a bottle of 2009 Dover Canyon Che Vito Da Cano, a 70% Sangiovese, 30% Syrah Blend. This wine is smooth, fruit forward without being out of balance, and had a very nice finish with a hint of spice aftertaste. Delicious. The wine doesn’t even appear on their website, so I guess there is no more of it to be had. Dover Canyon Winery is a great stop if you are in the Paso Robles area. Luqman Barwari, the owner, oversees Niroj Cuisine with a loving hand. A former executive at Amgen, he began the restaurant a couple of years ago to follow his passion for the food of his home culture. 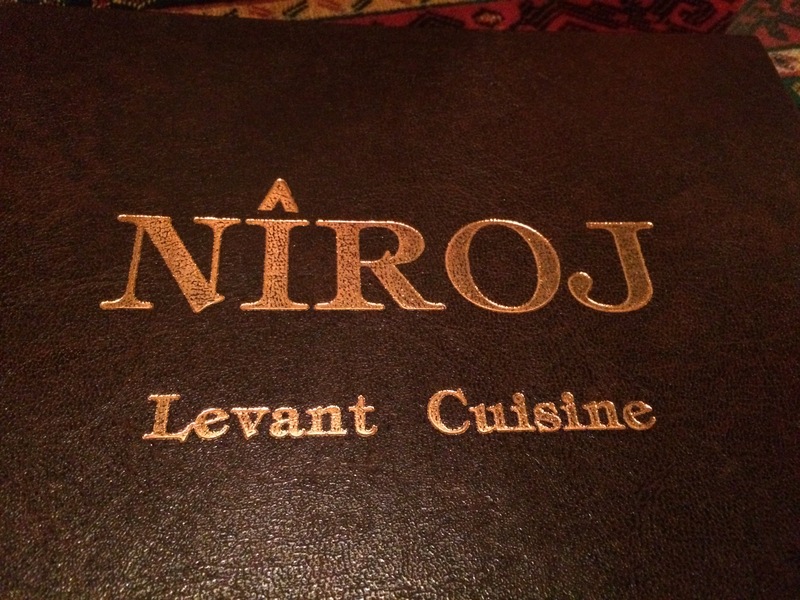 Niroj is, I believe, the only Kurdish Restaurant in the southwestern U.S. The food is beautifully prepared – very much like the variety of Middle Eastern cuisine. We shared a cold Mezze Platter of appetizers with the made-on-the-premisis soft bread, then the four of us shared two entrees – a lamb shank and a shrimp tawe – all excellent. 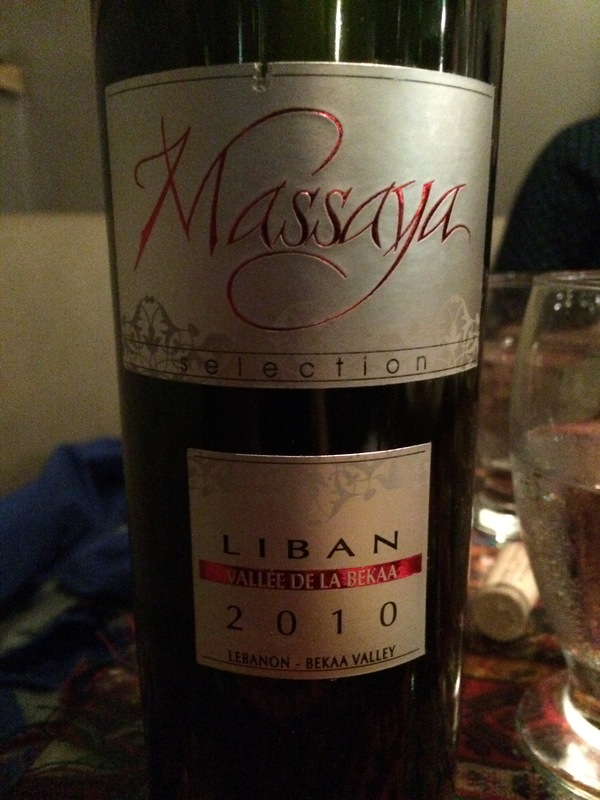 Then, for our second bottle, we ordered a Lebanese wine – a 2010 Massaya Silver Blend from the Bekaa Valley. 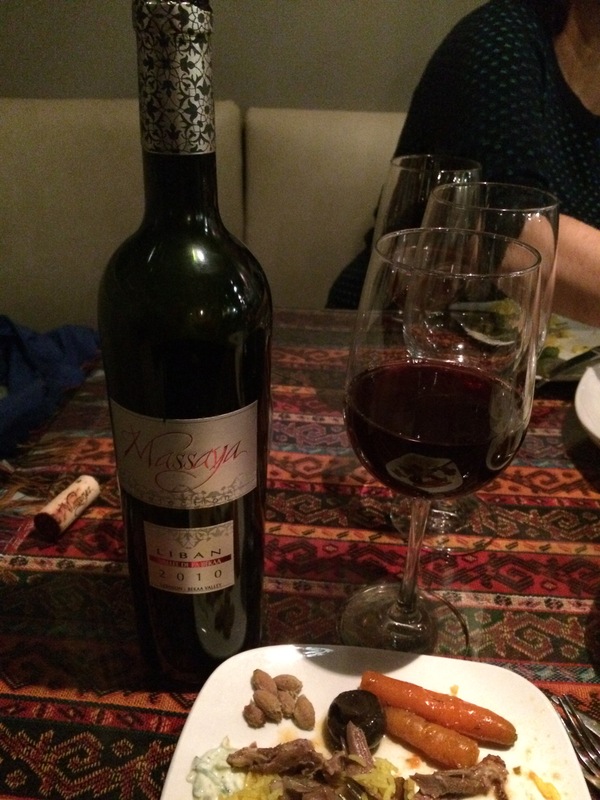 This wine with its unusual blend of Southern French( 40% Cinsault, 30% Grenache, 15% Mourvedre) and Bordeaux (15% Cabernet Sauvignon) grapes benefits from the sunny climate of the Lebanon tempered by cool night-time temperatures as a result of the height of the vineyards. The wine was very smooth, with medium tannins and a nice blend of fruit and minerals on the palate. Some house made Baklava ended the experience at Niroj Cuisine. 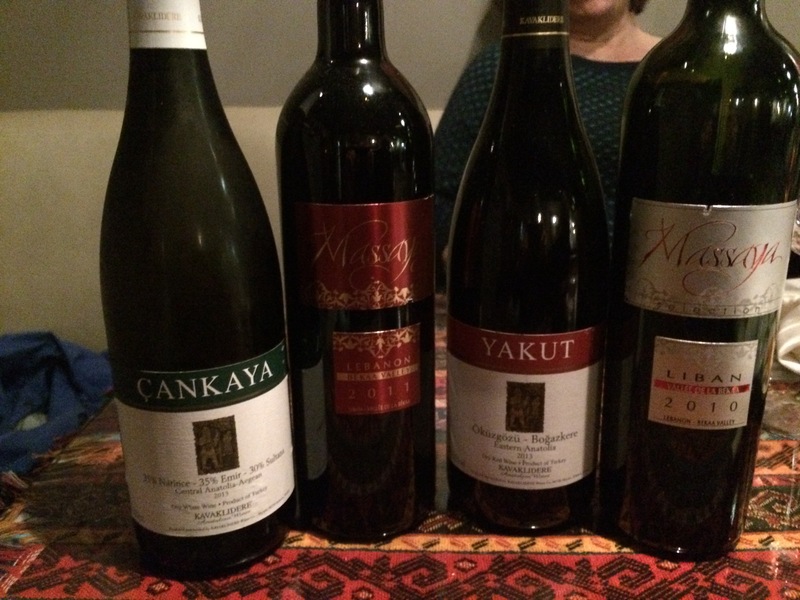 I took a photo of the Lebanese and Turkish Wines on the menu.